Lydia Potamianou-Carras studied Sociology at the Sorbonne, followed by postgraduate studies in Byzantine civilization in London (1981-83). 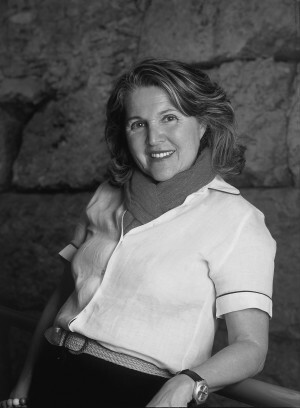 In 1972, she co-founded, with Costa Carras, the Hellenic Society for Heritage and Environment. She played a leading role in saving of the historic Plaka neighborhood in Athens (1974-82). As part of the London Cyprus Relief Fund, she organized the financial adoption of Cypriot refugee children (1974-75). As president of the Hellenic Cultural Center (1992-94), she organized the 2500th celebrations since the birth of Democracy in collaboration with the British Parliament. She has produced and directed fifteen documentary films, which won numerous prestigious awards internationally. The sale of “Sinai God Trodden Mountain” financed the restoration of the thirteenth-century refectory frescoes of that monastery. Her films include: “The Song of the Monk Seal” and “Voice of the Aegean,” receiving an Academy of Athens award for her “life’s work on film, heritage and environment” (2009).